Being an electronics tester and reviewer, I am constantly being asked which model I would recommend, and what the main differences are between the Wii U Basic VS the Wii U Deluxe. Because I have no financial stake in what consumers buy, I am considered an informed, impartial source by many. 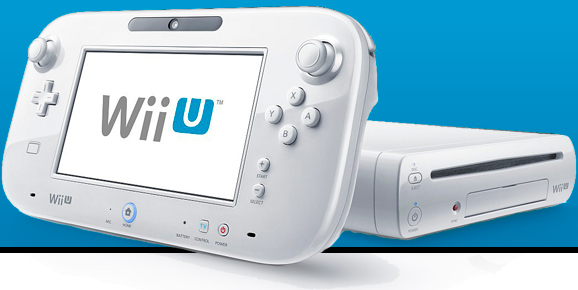 When it comes to the Nintendo Wii U, there are only two models to choose from. There is the Basic version in white, and there is a Deluxe version in black. The main review on this site denotes all features that come with each. Aside from some extra stand accessories, the most obvious difference is the internal memory, so let’s tackle that. To begin, 8 GB of internal memory is not really 8 GB of room to download games and other information from the Nintendo eShop. The preinstalled software and the operating system, as well as data about your account, etc. take up about 5 GB of storage space. Thus the basic white version only has about 3 GB of room to download games and other data from the Nintendo eShop. The black deluxe set has 32 GB of total internal memory storage, but because it comes with the Nintendo Land Wii U game already installed on it, the unit has about 7 GB of data stored in memory, leaving about 25 GB of internal memory to use for downloading activity. Looking solely at this memory situation, the basic white set seems like it just doesn’t have enough room for downloads. 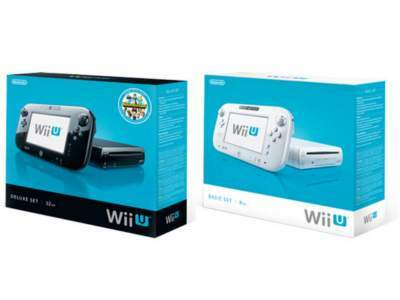 Here the clear winner is the black Wii U deluxe set. On the other hand, if you want to download more data than you have room for, Nintendo advises the use of an external USB storage disc that has it’s own power source. Some games in the Nintendo eShop require as much as 10 GB, or more. Depending on how many games you want to download to your console, you may need an external USB disc even if you buy Wii U in the black deluxe version. You may want to go crazy with your storage device size, but Nintendo warns not to use a storage device with over 2TB. TB is the acronym for tera byte, which is about 1000 GB. 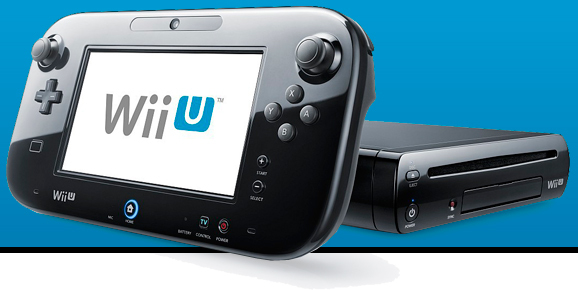 Storage appliances with more than 2TB are not currently recognized by the Wii U. Nintendo states that there will be a system update in December that will resolve the issue, but even though the update will allow the Wii U to recognize a disc over 2TB, the Wii U will still not be able to utilize any storage space above 2TB. Therefore 2TB will still be the maximum. Many people have asked me if they can use a thumb or flash drive for external storage on the Wii U, much like they would use on a computer. However, Nintendo advises against the use of such devices, because flash memory is limited in the amount of times it can be rewritten, and is therefore not ideal for storing save data from the Wii U Games. So what about an SD card? Well, SD cards may be used in Wii Mode to save and manage data for Wii U games, or to save a picture of your Mii and codes for your Mii, but Nintendo says that SD cards cannot be used as an external storage system. There is one last caveat. Once an external disc is formatted for use with the Wii U, it cannot be used with any other system, including some one else’s Wii U! So you can’t take your hard disc full of games to your friends house, and play them on his Wii U; it will only work on the system for which it was originally formatted.